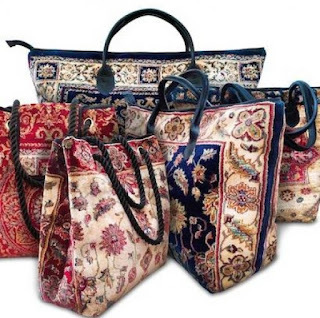 The Renaissance of an 150-year-old Victorian fashion treasure is commencing in the form of the carpet bag: now you can follow in the steps of Mary Poppins to become ‘practically perfect in every way’… well, at least in a fashionesta viewpoint. Thick and heavy fabrics including carpets, rugs and tapestry are being used to create unique bags which fit perfectly within the tribal tech, Aztec and geometric patterns trends of this season. This carrying companion is a vintage trend that is set to stay on the catwalks for a fair few seasons, so invest now and wait for others to catch up. TellUsFashion recomens these two beauties from Made of Carpet.